The Title kinda says it all really. This is my first big kit from Forgeworld, so I was determined to try and make a good job of it. It comes in a large bag, full of smaller bags, each full of bits. And very little in the way of instructions. Hmm. This is definitely not the kind of kit to try if you are new to model making, as a lot has to be worked out by yourself. 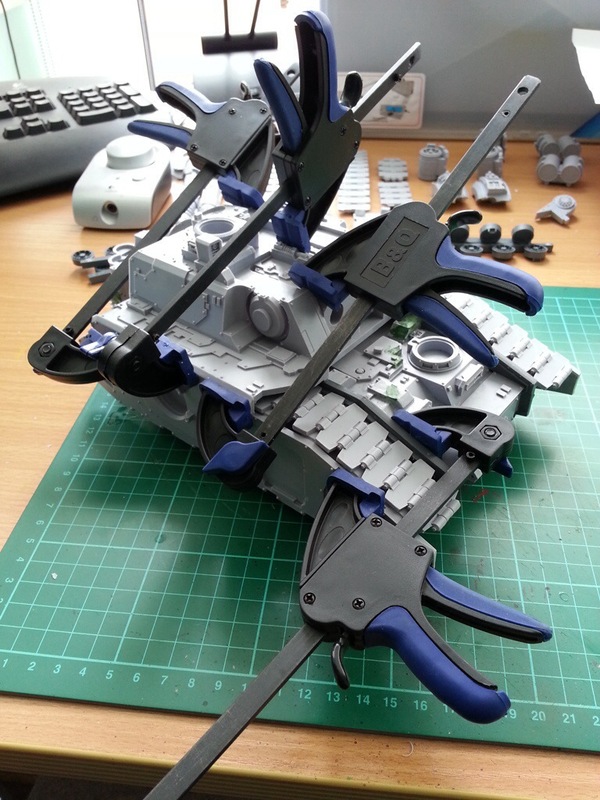 The lower hull is made from the plastic GW Baneblade kit, which went together easily. The casemate is a resin piece, and along with the hull sides, I assembled these next. Hobby clamps were invaluable here. Once the hull was complete, I started dry fitting the tracks. I’d heard stories of ill fitting track sections, so forward planning here was important. I started from the back and worked my way forward. I found the front drive sprockets didn’t line up with the other track sections, but a little careful trimming of the mounting brackets, and they fitted fine. I cleaned all the other parts ready for undercoat, and filled any gaps where necessary. I used grey car body primer first, and once dry, primed white from above. In pt.2 I’ll talk about the painting and weathering of this little monster of a kit. Thanks for reading. Back soon! 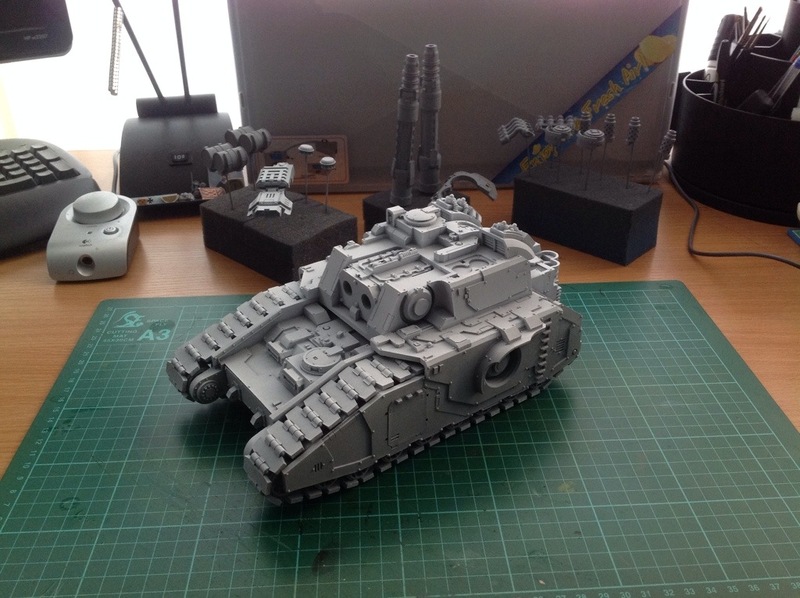 Previous Previous post: The Spartan Assault Tank.